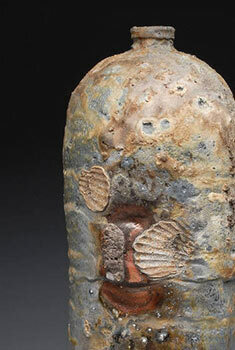 A bisque-fired piece by Taras Telyatinskiy. 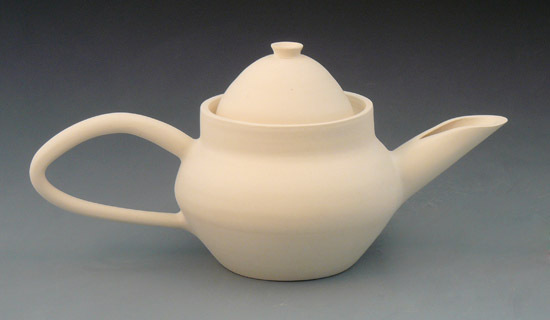 Fired unglazed pottery; ceramic ware that is durable yet porous. For students just starting out, bisqueware can be told apart from unfired clay because of color change (for example, from gray to light pink or white, or from yellow or dark brick red to a lighter brick red). Bisqueware also gives a more ringing sound when tapped, instead of a dull thud, and unlike raw clay you cannot scratch into it with your fingernail. Most importantly, bisqueware is more durable than brittle unfired clay. Bisqueware is usually unfinished pottery that needs to be glazed and fired again into its final state. Bisqueware that has been fired to a low temperature (usually cone 04 or lower) is porous and acts something like a sponge that you can't squeeze out. 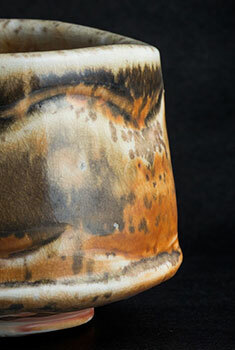 When dipped into a glaze bucket, it will absorb water and develop a coat of the glaze material mixed up in the water. The longer you let the bisqued piece linger in the bucket, the more water it will absorb (and just like a sponge, the thicker the piece, the more it can absorb) and the thicker the glaze coat will become, until the piece is saturated. Just like wet paint, at this point any touch will mar or remove the (probably far too thick) glaze coat, and it will be very hard to get more glaze to stick. If you wash a piece off to clean it of dust or a poor glaze job, or the piece is wet for any reason, let it dry thoroughly before attempting to fix or reglaze. 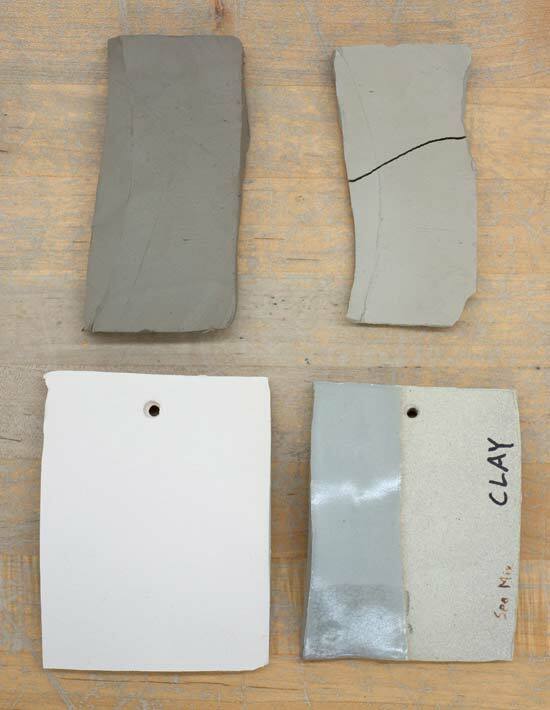 Below, a photo showing four states of the same stoneware (Sea Mix from Seattle Pottery Supply): top left, moist clay; top right, (nearly) bone dry clay; bottom left, bisque fired to cone 06; and bottom right, fired to cone 10 in reduction, with a clear glaze over the top half. Note the changes in color, and how the high-fired tile has become slightly smaller than the bisque-fired one.